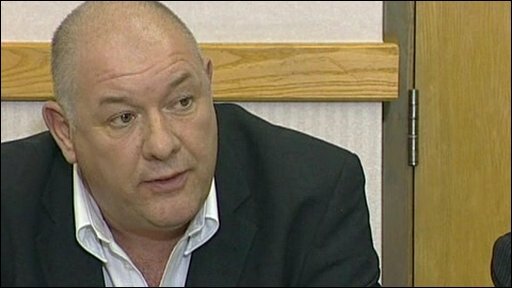 Dave Ward, CWU: "There are external forces... attempting to undermine talks"
A nationwide postal strike will go ahead on Thursday and Friday, the Communication Workers Union (CWU) says. The action, to begin at 0400 BST, comes amid a row over pay, conditions and Royal Mail's modernisation plans. The CWU has said it will also announce further strike dates - expected to be revealed on Thursday afternoon. The union criticised Royal Mail bosses and Business Secretary Lord Mandelson for not getting involved in talks to end the dispute. Mail centre staff and drivers will strike on Thursday while delivery and collection staff will take action on Friday. Government sources told the BBC the strike was "something of a tragic matter" and revolved around a dispute over implementing working practices and changes agreed two years ago. Business Minister Pat McFadden MP: "No clear reason has been given for the strike"
Meanwhile Royal Mail condemned the strikes which it said were "wholly unjustified". It had earlier issued a last-gasp plea for a "strike-free period of calm" in the run-up to Christmas, saying industrial action would bring "huge damage and distraction" and cause "pain and disruption" for customers. The CWU's deputy general secretary, Dave Ward, said that this letter was "substantively different" from the from of words drawn up by Royal Mail negotiators. "The form of words drafted between the negotiating teams last night was precisely that - a form of words that may have allowed the two sides to keep talking and call off the strikes." Royal Mail said the agreement was still available to be signed, and to prevent the strikes being necessary. 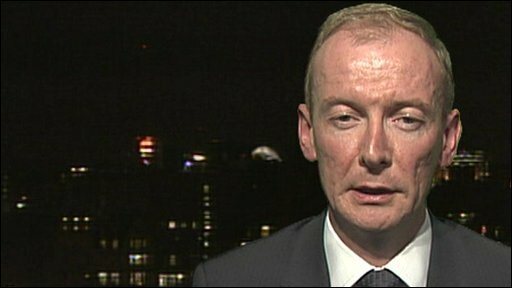 The CWU had "no confidence or trust" in either Mr Higson or Royal Mail's chief executive Adam Crozier, Mr Ward said. And it accused Lord Mandelson of working "hand in hand with Royal Mail" to deliberately undermine the talks, saying the minister had privately expressed his doubts about the capabilities of Royal Mail's management. Billy Hayes, the CWU's general secretary, labelled Lord Mandelson the "minister without responsibility". The prime minister had urged unions and managers to agree a deal saying a strike would be "counter-productive". Earlier, in the Commons, David Cameron accused Gordon Brown of lacking the "courage and leadership" to intervene in the postal dispute to prevent two days of planned strikes. The decision to go ahead with strike action came after more than 30 hours of talks between Royal Mail and the union this week. Since plans to part-privatise Royal Mail had been shelved "union militancy has got worse," the Tory leader said. Mr Brown said that had nothing to do with the dispute and urged unions and managers to agree a deal. If the strikes continue for a prolonged period, contingency plans for delivery of hospital appointments and medical test results have been drawn up, MPs were told earlier this week. And it has emerged that the Ministry of Defence may charter extra aircraft to ensure serving troops get their Christmas post. Q&A: What is the dispute about? Are we falling out of love with posties? When did you last receive post?